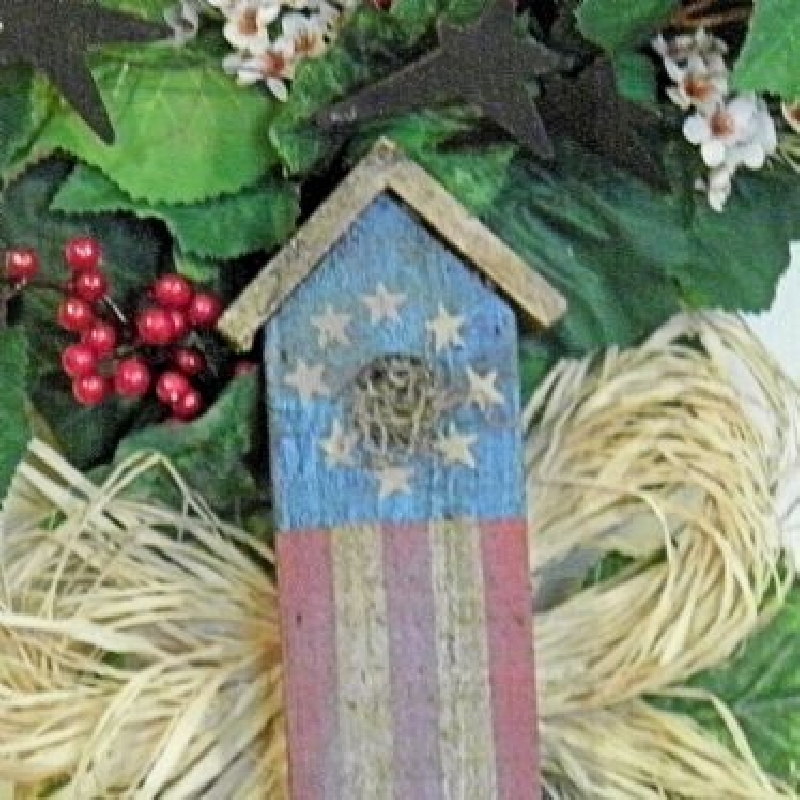 Antiqued country/prim Americana birdhouse is the focal point of this wreath. 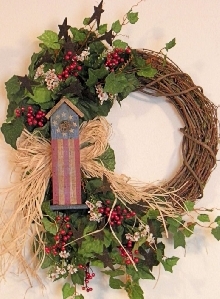 Green ivy, rusty stars, cream flowers, and red berries add the finishing touch. 20" wide, 24" tall, 4" in depth.